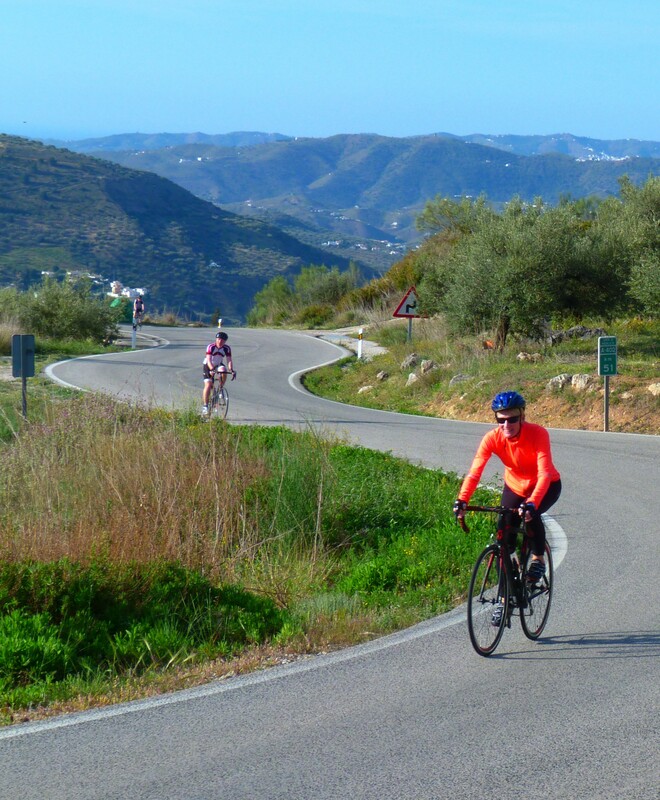 A simply sublime blend of smooth quiet roads, and epic landscapes, Andalusia is the next cycling paradise. And, of course, don't forget all that incredible Spanish food in the evenings, and passing through 3 must visit cities; Malaga itself, Cordoba, Seville and Ronda - all highlights on any travellers strike list. Four full days, and one half day of incredible riding, all we need is you to join our team for this amazing ride. We shall collect riders from Malaga Airport, and transfer to a nearby hotel to get ourselves ready to ride. We start with a 60km warm up - (with a climb of course) - up to Antequera where we shall sample our first night of Spanish cuisine. Then onwards via the Sierras Subbeticas - and then onwards up to Cordoba - the ancient Moorish Capital and now UNESCO World Heritage City. We shall reserve a fantastic evening meal here, and you will have some time to get out and explore this wonderful city. From Cordoba we ride down the Guadalquivit River - and down to the fascinating walled town of Carmona before reaching our next amazing cultural highlight - Seville! We shall make the most of our evening in Seville - and try and explore the main highlights of this most iconic of Andalucian cities. After Seville we are faced with our climb up to Ronda - the amazing town perched atop vertiginous rocky escarpments, complete with stunning architecture and the historic bullring. Again, we have just the evening to sample as much as possible. But don't party too much - as tomorrow sees us climb up and over the Puerto del Vento - the trip's high point at over 1100m, before our final descent back to the sea in Malaga. Wow - that's a ride, one of our finest itineraries, one to savour! Day 6 - fly home in the afternoon / evening - or you may opt to stay in Malaga. Please discuss your plans with the office, and let us know about your inbound and outbound flights. Evening Meals, International Flights, Bike Hire charges, lunches. You must notify us of any medical conditions that you have. If you have any concern over any condition you have, you must discuss it with your GP before joining the ride. You should be fit, and in good health, and you should have done sufficient training to ensure you are ready for the ride. We shall issue comprehensive safety guidance notes as a part of your Joining Instructions. Please ensure you read these - as they offer some useful tips on staying safe whilst riding. Typically this part of Spain is warm and dry - most of the year round. Although we do climb up to over 1000m - and at higher altitudes later in the year we can expect it to be cooler. Be prepared for all conditions is always the best option. Prepare for hot and sunny and cool and showery.